I started my career as a staff accountant in South Miami on Martin Luther King’s birthday holiday in 1998, while going to school at night and studying for the CPA on weekends. While putting in the hours and learning the basics of accounting, the debits and the credits, I was wondering if I made the correct decision in life to follow the path of a CPA, like my Grandfather, Papa Sam. I was always great at accounting and the experience I got working at this small firm was just the basics with no help. The small accounting firm did not allow me to grow, but I made sure that I perfected the role as a staff accountant. I was doing the same thing day in and day out. I was bored. I remember on a specific day when I was talking to the other staff accountant in the office, Diane, discussing my vision. I proclaimed that I was going to change the way the accounting profession works. I had a vision that I called “The House of Cards”. It was very early in my career to have this vision, but being bored allowed me to think of ways on how to make my job more stimulating. The vision was to have an all-inclusive CPA Firm that would include everything an individual or small business would need. There would be in this great office a CPA with his accounting staff in one corner, a financial planner is the second corner, a small law firm in the third corner, and an insurance and realtor in the fourth corner. This vision was to create an environment where the client can get everything they need in one place. Why isn’t there an all-purpose firm? The day I passed the CPA exam in 2000, I moved to Fort Lauderdale on Halloween to start my CPA career in a city where I currently call home. I worked for my next employer for the next 14 years. I had a job that allowed me to grow in all areas of tax, accounting, and advising. During this time, I developed the passion of my profession. I took every opportunity to learn. I was the Firm’s machine, working on almost every project, and the growth of the firm was impressive. At the age of 40, I decided to follow my passion of one day owning my own CPA Firm. I am not ready to open “The House of Cards”, but I am ready to change the way of the accounting profession. The passion that I have today comes from a different vision that I got from listening to my clients. Build a relationship where I can INVEST in my clients. This relationship will not be a typical CPA relationship, but rather include the words TRUST and ADVISOR. 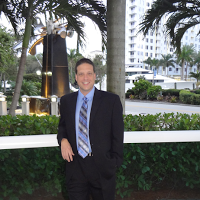 Jeff Stern CPA, PA is your Trusted Tax and Accounting Advisor. One of the discovery’s I learned in my first year on my own was asking my clients about their past relationships with their CPA or tax preparer. Most of them did not have a relationship. The CPA/tax preparer never asked enough questions to learn about the client’s story. How can an individual help their client if they don’t learn about their client’s needs? I call those types of CPAs and tax preparers score keepers. They do not add value. They just take the information you give them and prepare tax returns. What my clients wanted was someone who can add value at a reasonable cost. What they are learning now is they are getting value with the tax savings being more than the cost. Picking the right individual to be you advisor will actually make you money, not cost you. If you have any questions or concerns, I will be happy to discuss them with you. My commitment to all my clients is to have a year round relationship in order to best meet your needs.